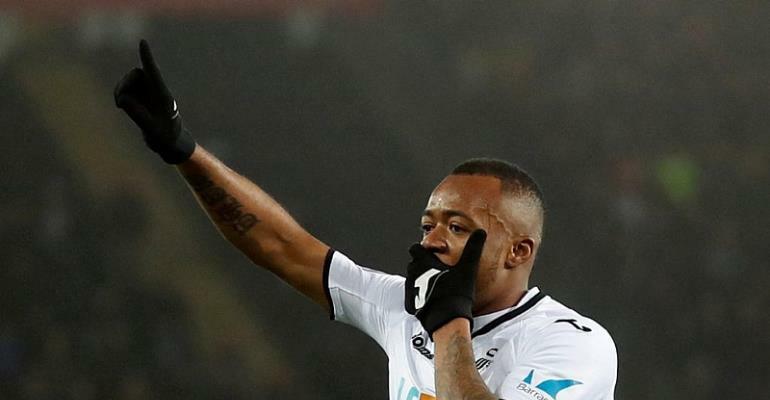 Swansea City manager Carlos Carvahal has commended the performance of Jordan Ayew impact in their 2-0 win over Sheffield United in the FA Cup replay on Tuesday. Ayew climbed off the bench to give the Swans the lead in the 55th minute before Nathan Dyer sealed the win for the Welsh outfit with ten minutes to end the game. The Ghanaian emerged Man of the Match after his electric display and earned praises from manager Carlos Carvahal. "At the break, we weren't happy with the score. We needed more energy and intensity, so we brought on Martin OIsson and Jordan Ayew and they had a big impact," the manager said. "Two or three minutes into the second half I thought things would change." Meanwhile, Swansea progressed to the quarterfinals of the FA Cup for the first time since 1964 and will wait for the winner of the game between Tottenham and Rochdale on Wednesday. The Swans have not lost a game in which the 26-year-old has scored in, winning eight and drawing two.